La Burrita took over the spot near Christie station that used to house an Ethiopian restaurant. 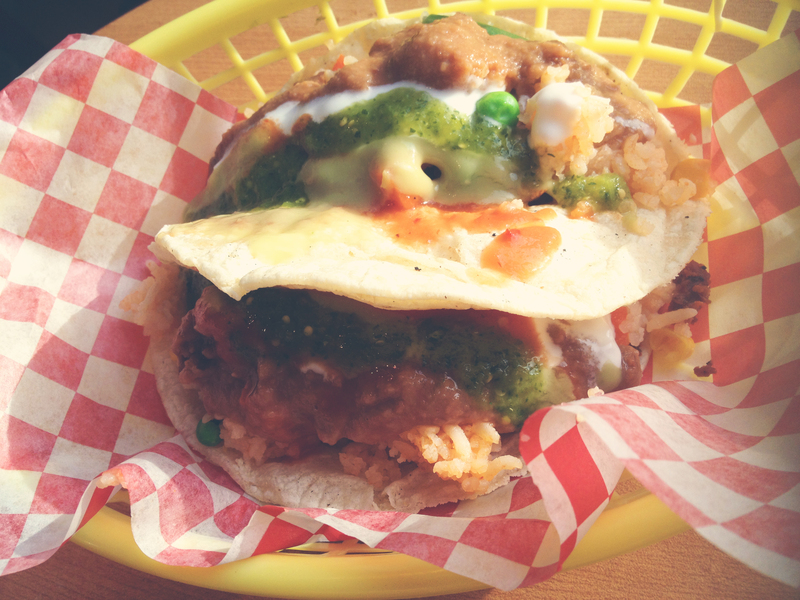 While it is only a block a way from our beloved Tacos El Asador, La Burrita does a more Mexican style of taco. There is even a huger variety of meat fillings you can choose from and at $2.90 the price is low enough to keep coming back to try them all. 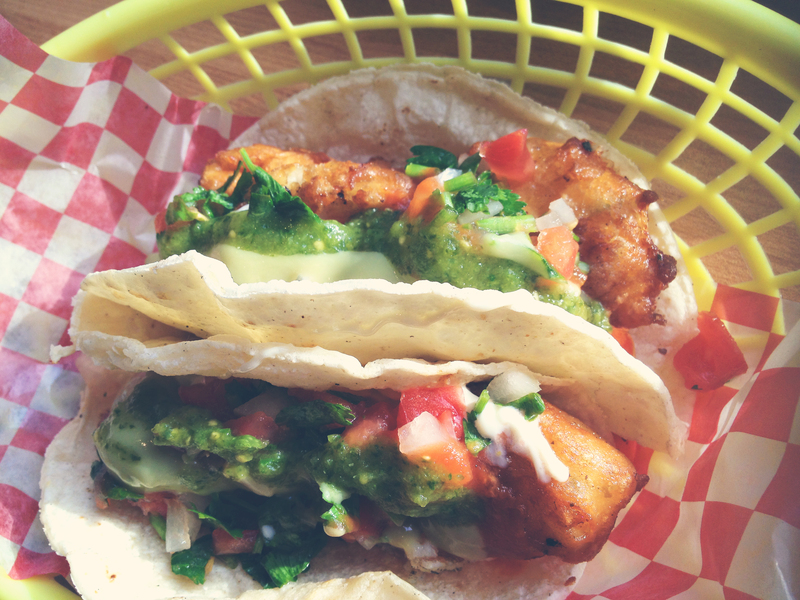 I had a Shrimp Taco and a Fish Taco. Both were battered really nicely with avocado and salsa fresca. It was moist and full of flavour that you didn’t need to ask for any additional salsa or hot sauce. Unlike some other places, there wasn’t any offered. Nash had the Chorizo and Chipotle Pork tacos. Both had rice, cheese, green sauce, sour cream and salsa. The chorizo was better than Al Asador’s because it was really moist. For some reason we couldn’t resist trying the nachos. 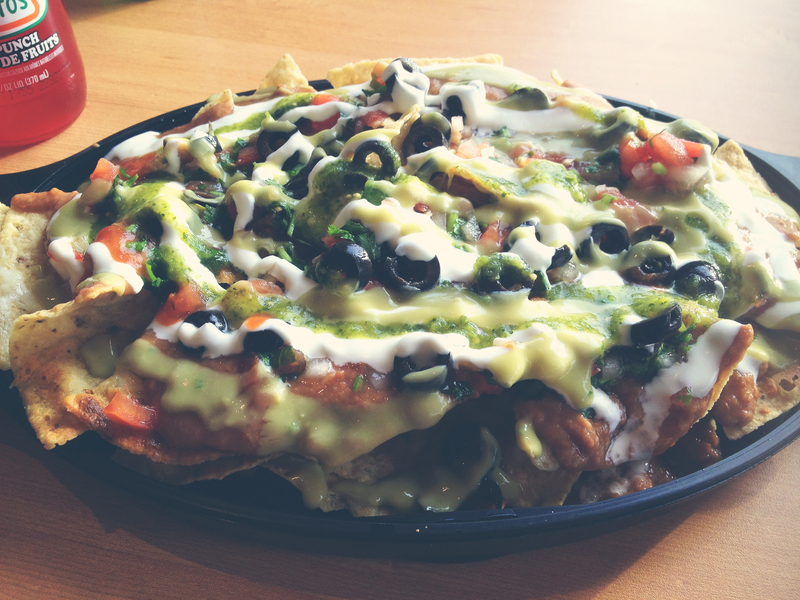 They were a lot lighter than the usual nachos, mostly because we didn’t expect to finish them but we did. I enjoyed the freshness of the salsa verde with the fresca.